The BBAR competition is a national event aimed at finding the time-trialists who can claim to be the best over a range of distances. However, all riders who attain the appropriate standard are recognised. The competition is split into separate classes for Men, Women, Boys and Girls. To qualify, the men must compete (and finish!) in at least one 50 mile event, one 100 mile event and one 12 hour. The events a woman must undertake are at 25, 50 and 100 miles. The best performances at each distance is taken for the Senior events... The average of the three or four speeds calculated from those results is the key to the competition. Men attaining a result of not less than 22mph (approx. 35.5 km/h) from their three times receive certificates for their efforts. Women do so if their average is at least 20mph (approx. 32.25 km/h). The result is not a true average of a person's combined best endeavors, but is indicative of those qualities that should be aspired to by any all-rounder. So that's a least 3 events, one of which is a 12hr TT!!!!! 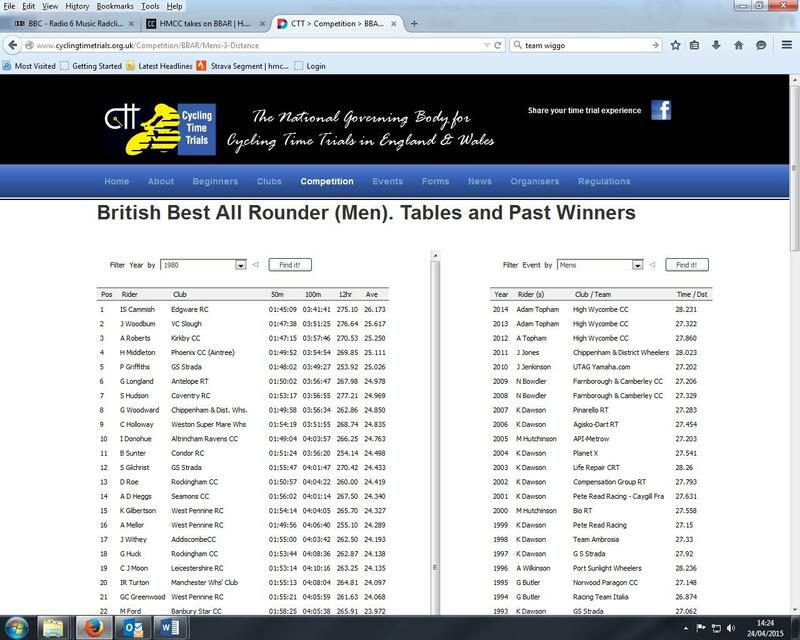 Just to join the table of finishers is a hell of an achievement...knowing Dave he'll be aiming for as high as possible! Good Luck Dave.....Give it Beans!